Delight the wine enthusiast on your list with a unique wine gift. 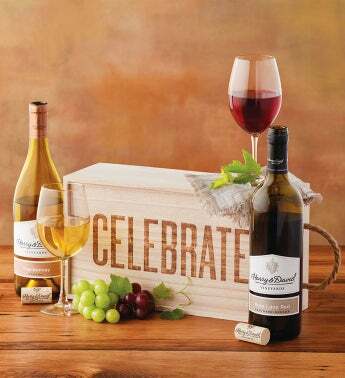 The reusable wooden box makes a great wine carrier and is branded with the word "celebrate." Includes our 2015 Ross Lane Red blend, which has a medium body and a complex profile, and our 2017 Chardonnay, which has a sweeter profile and delightful aroma.